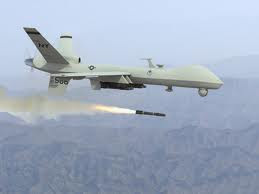 Flying drone aircraft over Afghanistan from the comfort of a military base in the United States is much more stressful than it might seem, even for pilots spared the sacrifice of overseas deployment and separation from family and friends. America's insatiable demand for drone technology is taking a heavy toll on Air Force crews, with just under a third of active duty pilots of drones like the Predator reporting symptoms of burnout and 17 percent showing signs of "clinical distress." That's when stress starts undermining their performance at work and their family lives.